Are you tired of pumpkin yet? I say absolutely NOT! I especially can not get enough of these Pumpkin Pancakes! As you know pancakes are one of my favorite things to eat! And for dinner too! They are actually on my meal plan for this week. So because I can not get enough of pancakes and of pumpkin the next obvious thing to do was combined them! 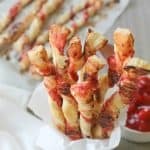 I have made these for the kids twice now and they can not get enough. The last time I even doubled the batch to make sure we were all going to get our fill. Let me tell you those kids can throw down some pancakes. Then I always save some for my hubby when he gets home from work late in the evening because he likes to snack on them! What is great about these pancakes is that it doesn’t take the whole can of pumpkin. Now why is this great? Well we all know we will be baking up a lot of pumpkin desserts over the next few weeks and we ALWAYS have some pumpkin left over sitting in our refrigerator not know what to do with it. Then we find it weeks later moldy. YUCK! Who wants that? Not me! So I give you these Pumpkin Pancakes to use that last bit of pumpkin you have sitting around not knowing what to do with it! So go, go make PANCAKES!! ENJOY! 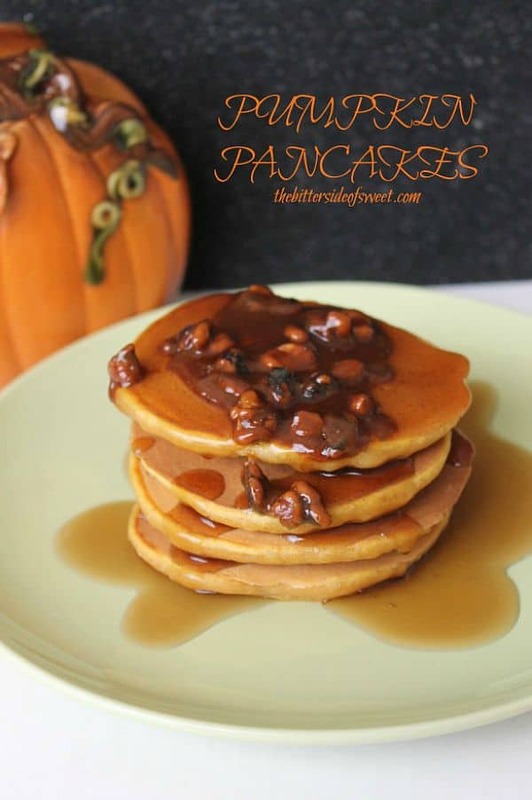 Pumpkin flavored pancakes perfect for breakfast using that leftover can of pumpkin puree! Preheat to medium heat an electric griddle or large skillet on the stove. If using a skillet spray with cooking spray. In small bowl add flour, cinnamon and baking powder. Set aside. In a mixer beat brown sugar and egg together. Add milk, pumpkin puree and yogurt. Continue to beat mixture. Slowly add flour mixture and continue to beat till the flour is incorporated. Spoon ⅓ cup of the batter onto the griddle or skillet. Flip when bubbles start to form and pop. Cook for an additional 3 minutes. Want more pancakes? Here you go!! I am never tired of pumpkin! I could and have eaten it in the farther months after the seasonal holidays. I can’t seem to get enough of the yummy-ness! And, now you showed us what else we can make with the leftover pumpkin…becz I’m one of those people that buy a whole lot of cans (Costco style) and hoard them all year. And, of course I never use the whole can in one recipe. Loving these simple pancakes, Nancy! Wow you do love pancakes, all your different versions sound absolute delicious!! I do! I have a weakness for them! Thanks Elizabeth!! I am seriously not either!! Thanks Ashley!! I am seriously not either! Thanks Ashley!!! So not tired of pumpkin! Of all the pumpkin things I have made this Fall, I haven’t made pumpkin pancakes yet. I’ll have to try your recipe this weekend! 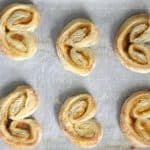 There are so many good recipes out there right now! Thanks Rachel! I’m loving all of the pumpkin desserts! I’ve got to give these pancakes a try. What a perfect breakfast! 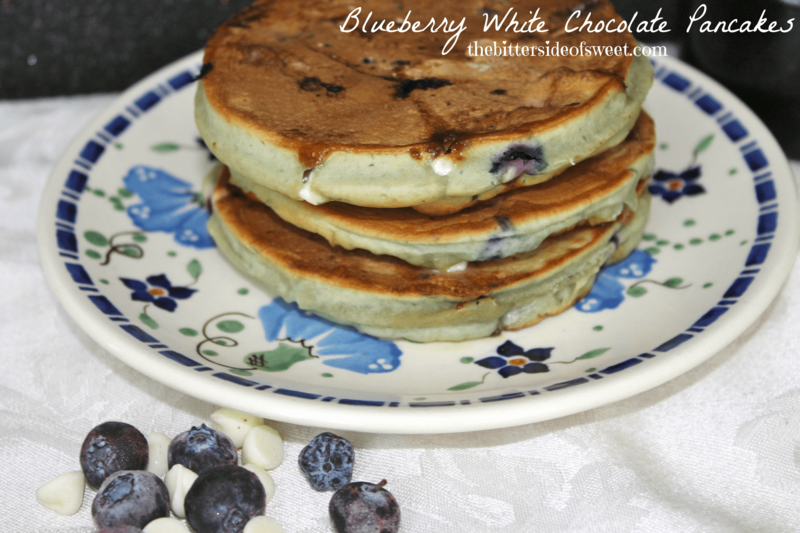 They are perfect for breakfast!! I’m a pancake fanatic and ahve just been drooling while scrolling past all of those other pancakes! I’ll never, ever, ever get sick of pumpkin — especially not with these pancakes just a few minutes away! So you completely understand my obsession!! So glad you came by Kelly!!! What a great way to start the day – they look delicious! I totally agree! Thanks Pam!! I LOVE PANCAKES TOO! These would easily become a favorite! Oh, btw, I’m never sick of pumpkin! I love making pancakes! Thanks Tina!! These look great, thanks for sharing at Fridays with Friends! 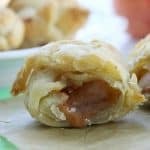 I see you’ve linked up this great looking recipe at the Show Stopper Saturday link party. I’d love for you to come share it on my new link party – Required Ingredient Recipe Link Party – that just went live. Every Sunday I feature a different ingredient and this week it is pumpkin. I hope you’ll stop by and share! 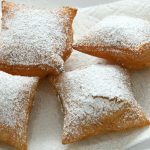 Forget waiting until morning for these, I want these for dinner!!! Your pancakes always look so delicious!! We had them for dinner, twice!!! Thanks Jocelyn! 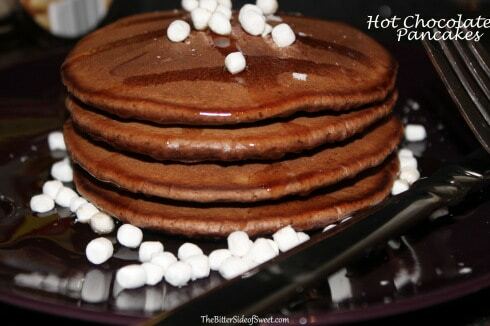 These pancakes look so delicious, I’ll probably try to make them tomorrow. Thanks for the recipe. Oh I hope you do!! Thanks for coming by Jordan! 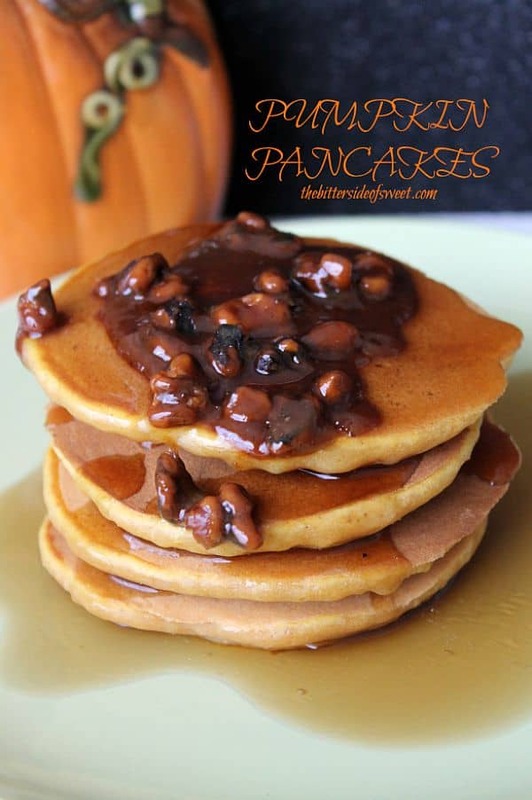 i am still all about the pumpkin and pancakes are always great! I never get tired of pumpkin or pancakes! These look so fluffy and delicious! I can see why they would go fast in your house! 🙂 I am dying to know what you topped the pancakes with? Is it a bacon syrup/glaze? This is kinda funny but at first glance I thought it was beans.. hehe.. but obviously I know that was not correct. 🙂 Hope you have a great week girl, wanted you to know I was featuring you this week at Show Stopper! Thanks so much Krista. It was actually a walnut praline but the recipe has not quite been perfected so I didn’t share it but it was crazy good to eat on top of the pancakes! oh… sounds delicious! I bet it was crazy good on top of those pancakes. 🙂 Can’t wait till you share it! 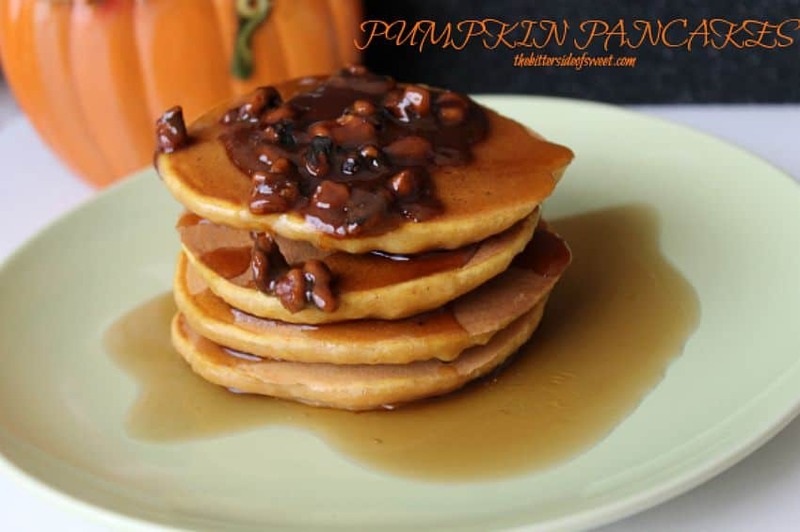 I am always happy to try pumpkin and pancakes for breakfast, lunch, or dinner! Thanks for sharing on the weekend re-Treat link party! My kids can throw down pancakes too! 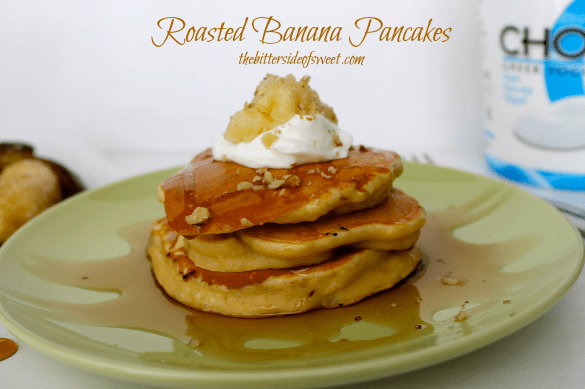 I haven’t tried pumpkin pancakes but they are on my list! Stopping by from Saturday Dishes. We, Coffee With Us 3, are the ones taking over in January. Thank you for linking up and we hope you continue to do so! Pinning. We have made the pumpkin ones several times! Thanks Lucy! I never, ever, ever, tire of pumpkin! Especially when it’s for breakfast!! Holy cow, these look GOOD! Thanks Tanya! I could eat pumpkin all year round! Mmm these sound fantastic! I love pumpkin, especially in breakfast foods! Pinning for later. I am all about pumpkin too! !